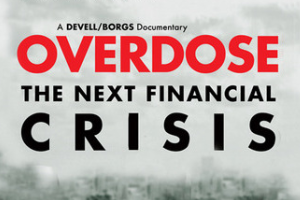 This economic documentary is partially about the housing market scam and generally state sponsored financial crises (scams) in general (pick one, they’re all the same scam), and how people were suckered into begging for it. This is the story about the coming economic crisis. Gerald Celente always finds somewhere to tell the truth about the monetary system, Overdose is no exception. He’s in this documentary as well, giving up the real. He predicted the .COM bubble and the financial crisis of 1987. Peter Schiff, who was mocked for predicting the collapse that happened, is also featured telling the truth about government financial scams which perpetuate fake economies. Politicians used the U.S. economy as a scapegoat to buy votes. The idea of people getting rich by living in homes is illustrated. Fannie Mae and Freddie Mac, government sponsored businesses, are highlighted and explained. The rating agencies stamped bad, or toxic financial products with their highest ratings. Many think sellers of mortgage backed securities paid off rating agencies. The Federal Government flooded banks with money, and required them to take it, so it wouldn’t be known which banks were failing. The government also took packages designed for bailing out banks, and used it to bail out the auto industry. Obama’s stimulus, in conjunction with Bush’s pushed us into additional debt to the tune of 1-2 trillion dollars. Lots of the money went to stimulate the rich. Rodeo Drive, an exclusive area, was stimulated as well with newly paved streets at a price of 1 million dollars. Only about 30% of the money really went to actual stimulus that meant anything to the economy at large.